Apologies for the lack of Nerd News today, friends! I just started a new job this past Monday—I know! I'm excited, too!—and have therefore been a bit overwhelmed. I also got the opportunity to see a preview showing of The Expendables 3 last night—with live explosions!—and you know I couldn't pass on such an awesome opportunity. I'll be back next week with all of the nerdy news that (I think) is fit to print. Thank you! And—sadly—it wasn't as good as the first two, but it was still entertaining. Congratulations on the new job! That's really exciting news. I'm pretty excited about The Expendables 3. 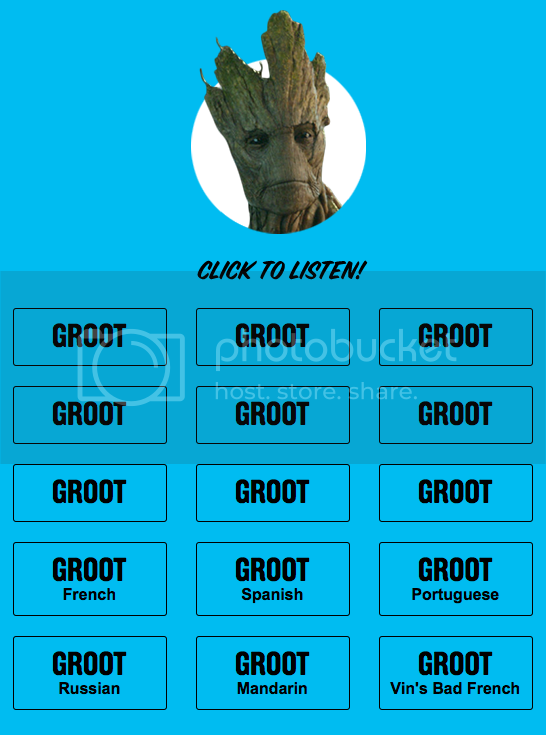 Spanish Groot has got to be my favorite thing right now.